Centerfolds in BBQ? Oh Yeah! Competition BBQ and a centerfold are terms I would never imagine in the same sentence. 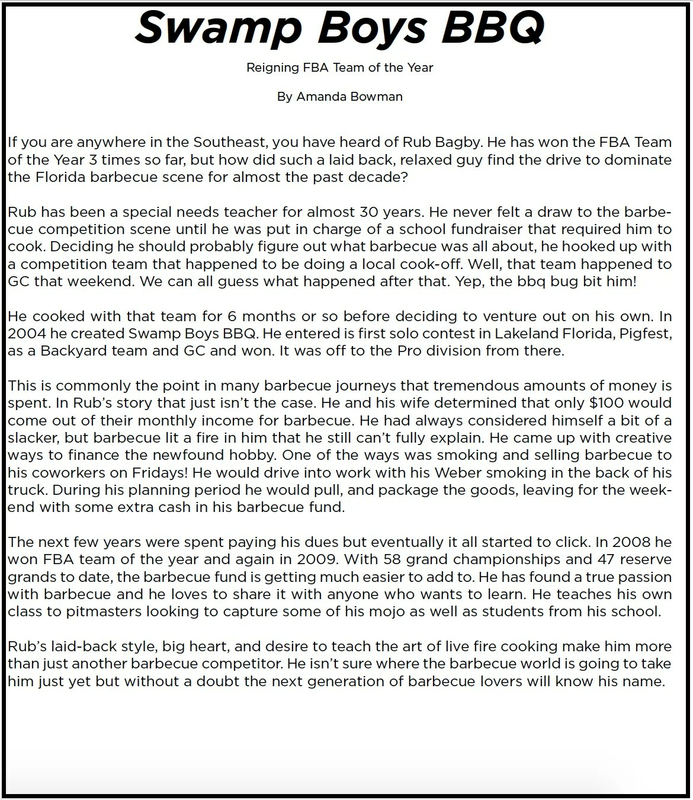 Yet the KCBS‘s monthly national publication The BullSheet has managed to pull it off this year. Each month they have been spotlighting a team with a short bio and some fun questions. 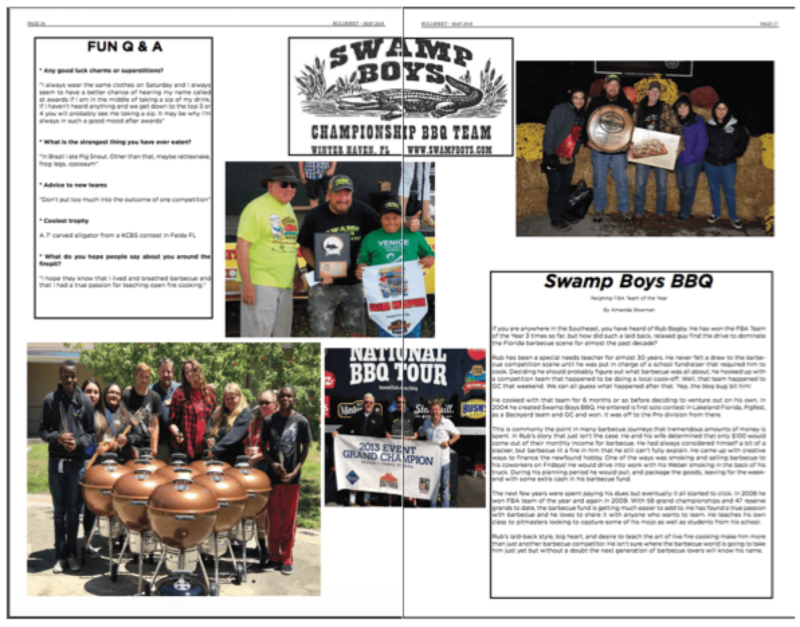 Swamp Boys are humbled and thankful to have been selected for the May spotlight, which coincidently is National Barbecue Month. Thank you KCBS and Amanda Bowman!